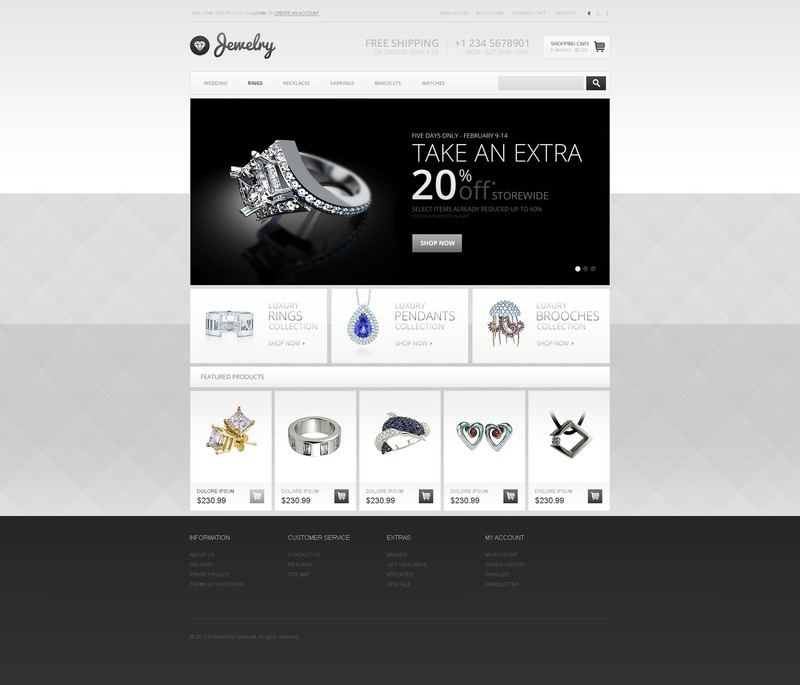 Elegant black and white layout will help you reveal the authentic beauty of your jewelry. Composite background imparts special charm to the design. Large dark slider stands out against the lighter layout and serves for attention drawing purposes. Banners and featured products are supplied with hover effects. Logo design is simple and recognizable which is beneficial for company image.